Cardi B explained why she attacked Nicki Minaj at New York Fashion Week. Cardi then said she lost it when Nicki liked a tweet about her being a bad mother, which Nicki denied doing. 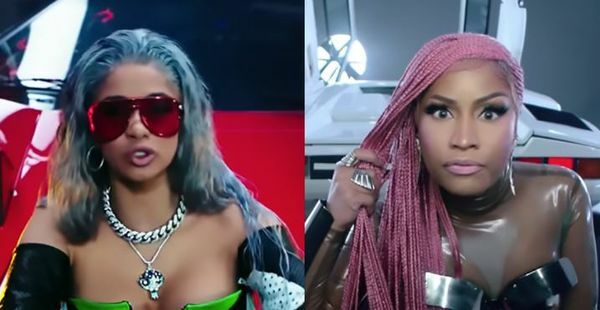 Hollywood Unlocked has reported that the beef between Nicki and Cardi originally started when Nicki told Future he couldn't be on the Cardi B track "Drip", and Future apparently listened to Nicki. Do you think an Instagram like is enough reason to fight someone?